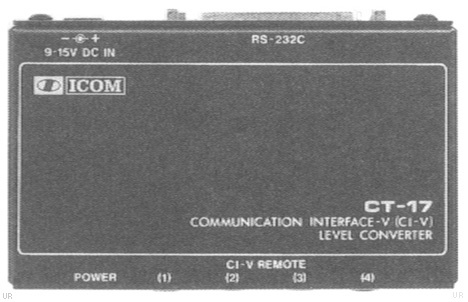 The Icom IC-R7000 VHF-UHF receiver covers from 25 to 999 and 1025 to 2000 MHz in the following modes: AM, AM-W, FM, FM-W, FM-N, USB and LSB. 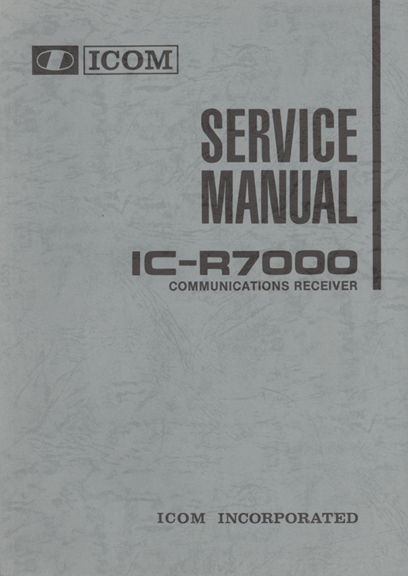 The IC-R7000 covers nearly 2000 MHz of spectrum to include low band, VHF civil and military aeronautical bands, marine, business, FM, amateur, government and TV bands. 99 memories store frequency and mode and may be selected by simply pressing the memory switch, then rotating the memory channel knob or by direct keyboard entry. Scan modes include full-scan, programmed-scan, mode-scan, selected-scan, priority-scan and auto write programmed-scan. By depressing the Auto-M switch, the receiver automatically memorizes frequencies in use while the unit is in the scan mode. 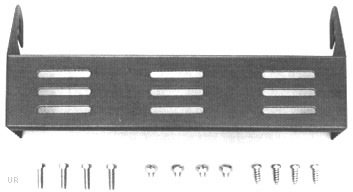 Modes include: FM-Wide, FM-Narrow, AM, USB and LSB. Six tuning speeds: 0.1, 1.0, 5, 10, 12.5 or 25 kHz. Requires 117/240 VAC. Specifications guaranteed from 25-1000 MHz and 1260-1300 MHz. Copyright 2005-2018 Universal Radio, Inc.